"What do we do to help the Senator?" "We tell the truth…" Entertainment Studios has unveiled the first official trailer for a film titled Chappaquiddick, referencing the Chappaquiddick Island in Massachusetts and the accident that occurred there in 1969. This first premiered at the Toronto Film Festival this year to mostly positive reviews, and will hit theaters in April. 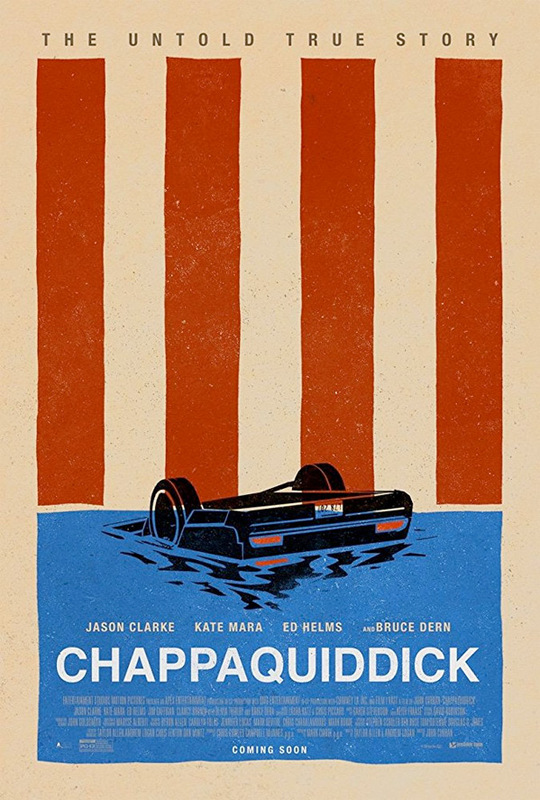 Chappaquiddick stars Jason Clarke as politician Ted Kennedy, whose political career became derailed in the aftermath of a fatal car accident that claimed the life of a young campaign strategist, Mary Jo Kopechne, as played by Kate Mara. The film's full cast includes Clancy Brown, Ed Helms, Bruce Dern, Jim Gaffigan, Andria Blackman, Olivia Thirlby, and Taylor Nichols. This looks damn good, seems to be a solid political thriller with some intricate twists. Ted Kennedy's (Jason Clarke) life and political career become derailed in the aftermath of a fatal car accident in 1969 that claims the life of a young campaign strategist, Mary Jo Kopechne (Kate Mara). Chappaquiddick is directed by American filmmaker John Curran, of the films Praise, We Don't Live Here Anymore, The Painted Veil, Stone, and Tracks previously. The screenplay is written by Taylor Allen and Andrew Logan. This first premiered at the Toronto Film Festival earlier this fall, and it also played at the Philadelphia and Austin Film Festivals this year. Entertainment Studios Motion Pictures will open Curran's Chappaquiddick in select theaters starting on April 6th, 2018 next spring. Who's interested in seeing this?